Premier League duo Arsenal and Chelsea have joined Manchester United in the race to acquire the signature of Inter Milan attacker Ivan Perisic, as per Goal. 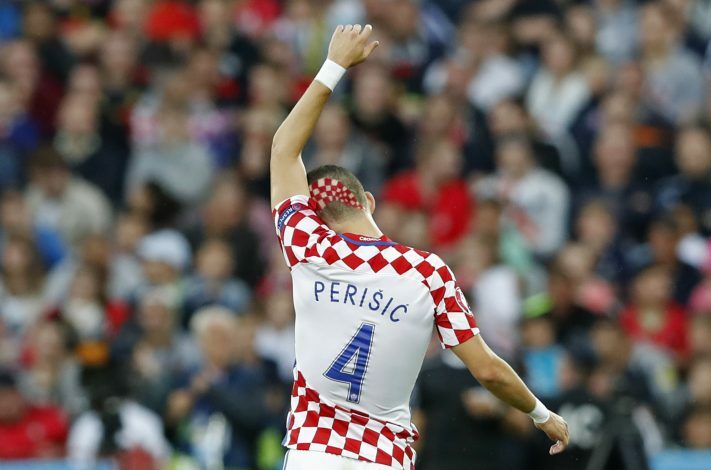 Ivan Perisic is believed to be excited at the prospect of playing in the Premier League, and he is “almost certain” to move to England next summer. The Croatian, who joined Inter back in the summer of 2015 from Wolfsburg on a five-year deal for a reported fee of €16 million, has played 30 league games so far this season, and has scored nine goals, followed by four assists. Arsenal, on their part, will be looking to add an extra attacking flair to their squad, mainly because of the fact that both Mesut Ozil and Alexis Sanchez are facing an uncertain future, with the latter being linked with Paris Saint-Germain, Chelsea and Manchester City. Chelsea, on the other hand, are having their separate issues, as Diego Costa is expected to leave the premises at the end of the season. Hence, they too will be in the market to add some attacking players. With the Nerazzurri aware of the interest in their star forward, they are well expected to demand at least €35-40 million for his signature. Besides all of that, Manchester United manager Jose Mourinho remains keen to add the Croatian to his squad, but the lack of Champion League football at Old Trafford next season might hinder the negotiation in one way or the other. With all this said and done, Inter are already bracing themselves for a major shock, and to fill the void, they are monitoring the situations of Fiorentina’s Federico Bernardeschi and Sassuolo’s Domenico Berardi.